…is this thing on… it’s been FAR too long since my last post! So many exciting things happening – my boyfriend proposed in October, the holidays are upon us and we are in full wedding planning mode – needless to say the celebrations have not stopped! I can’t believe the year is almost over and Christmastime is here. Every year I look forward to slowing down and enjoying the season with my friends and family. It’s a running joke in my family that once December 1 rolls around they can expect my wish list in their inbox! Sharing a peek at my wish list below. 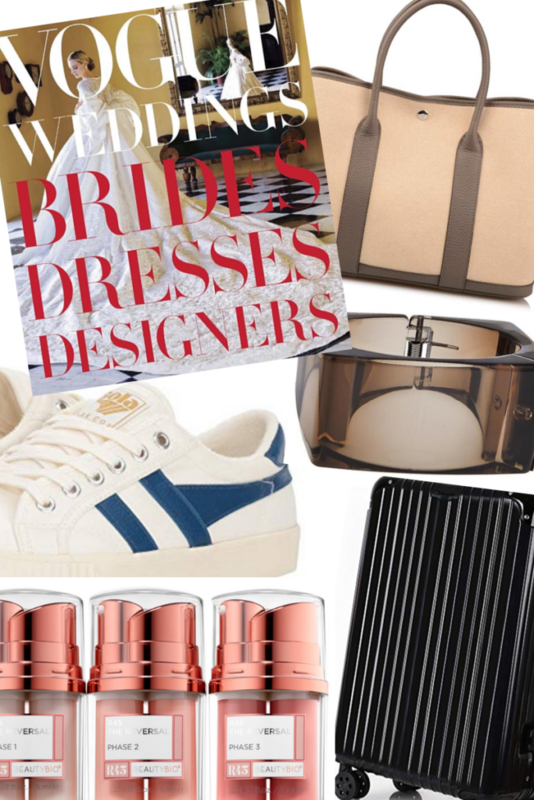 Coffee Table Book – Being newly engaged my eyes are on all things bridal! This book was one of the first things on my list – the most chic bridal inspiration! Not to mention will look great on my coffee table. Structured Tote – I need a new tote that I can fit everything and won’t lose its shape; this one fits the bill. And it’s on Amazon Prime – win! Oversized Bracelets – Seems like I have been collecting bracelets lately – how great is this lucite one?! Casual Sneakers – My white sneakers have seen better days and I am need of an upgrade. Hyped Facial Products – In 2019 I want to take better care of my skin and this three-step process has amazing reviews. Checked Bag – truth is I already purchased this one for myself. I needed a bag that I could check for an upcoming trip and the price and style was right on this one.